Parents of teenagers can feel like they’re constantly fighting for their kids’ attention. The competition? Instagram, Snapchat and YouTube. Consider this: Today’s teens do not know a world without smartphones. That’s not all bad. 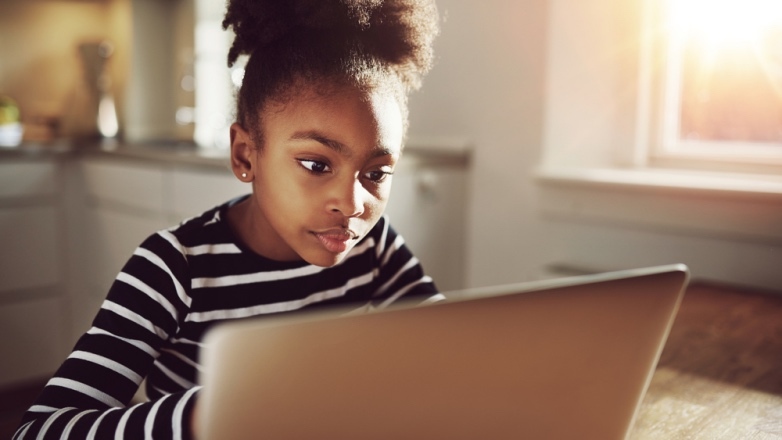 Social media can help kids connect with each other, it can make the world feel smaller, and it can offer ways to find others who share common interests and concerns. But those benefits come with plenty of challenges. Many teens obsess over FOMO—“fear of missing out” on social opportunities—and experience increased anxiety levels as they compare themselves to idealized images of their peers. Then there’s cyberbullying, cyberstalking, exposure to inappropriate content, distraction from homework and very real social isolation—to name just a few potential pitfalls. Some parents prioritize respecting their children’s online privacy. But parenting is never about letting kids go through life without guardrails. When it comes to social media, parents bear a serious responsibility to offer guidance and rules. Dr. Hartstein encourages parents to lead by example, putting down their own phones and connecting with their kids with intention and presence. How early should kids use social media? A federal law, the Children’s Online Privacy Protection Act, makes it illegal for children under 13 to have social media accounts. But even after 13, it’s best to put off social media for as long as possible. When their children do enter social media, parents should have a conversation with them, reviewing rules and privacy settings. If you’re not familiar with the sites or apps they’re using, take the time to get educated on what your kids are doing. Two firm social-media rules: Kids shouldn’t allow people whom they don’t personally know into their social-media networks, and they should never share account passwords with anyone. It’s important to remember that teenagers’ brains are still in the process of developing, and social media exposes them to very real risks. It’s crucial for parents to be there to help them navigate this challenging area. Review your child’s privacy settings. It’s important for kids (and parents) to know with whom they’re sharing information. Monitor your child’s activity. That doesn’t mean spy, but teens should know that parents are aware of—and care about—what they’re up to. Talk to your kids about what they’re seeing online. Listen attentively and if problems arise, devise solutions together. To find a CHLA Health Network pediatrician in your community, go to CHLA.org/HealthNetwork. Our CHLA Health Network pediatricians practice in Agoura Hills, Bakersfield, Beverly Hills, Burbank, Camarillo, Carson, Encino, Glendale, Los Angeles, Manhattan Beach, Newbury Park, Oak Park, Rolling Hills Estates, San Dimas, San Marino, San Pedro, Santa Monica, Thousand Oaks, Torrance, Valencia, West Covina, West Hills and Westlake Village.